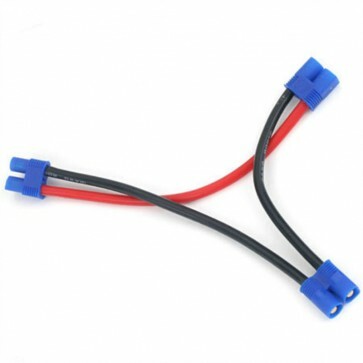 This is a connector for connecting two batteries with EC3 style plug connectors in series. With two batteries connected in series you will have double the voltage and power of a single battery, but with the same run time as one battery. 14AWG wire.